Read the latest mentions of Nuxeo of the news and press to see what we've been up to. Nuxeo, a cloud-native content services platform, has announced the release of LTS 2019. Data curation initiatives can help streamline BI processes by reducing the amount of time users spend locating and preparing data. Get four tips for preparing data sets. Self-service BI is a driving force behind the reshaping or possible demise of data silos. But sound data governance and corporate attitude adjustments are needed first. The mountain of data often doesn’t have the context or value to make it meaningful, and therefore, the data sits unused in storage systems akin to digital landfills. 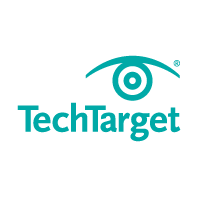 Leading Provider of Cloud-Native Content Services Makes Deloitte’s Technology Fast 500™ for Second Straight Year, Moving Up from 467. Information is the currency that fuels business. But as information becomes more important, the ability to effectively manage it is eroding. This is due to the exploding volumes, variety, and velocity of information coming into most organisations. 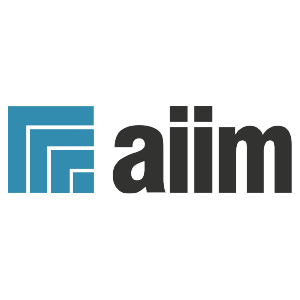 The potential of AI has been appealing to people like me in our industry for a long time, but we’re now finally beginning to see real-world benefits and value from leveraging AI for information management. In this Magic Quadrant, Gartner evaluates the strengths and weaknesses of 18 providers that it considers the most significant in the marketplace, and provides readers with a graph (the Magic Quadrant) plotting the vendors based on their ability to execute and their completeness of vision. The KM Promise Award is given to a company that implements and integrates knowledge management practices into business processes and works with clients to ensure they reach their goals. .
Nuxeo, the leading cloud-native Content Services Platform, today announced it was named a Visionary in the 2018 Gartner Magic Quadrant for Content Services Platforms. As one of the 18 vendors evaluated, Nuxeo was positioned as a Visionary based on its completeness of vision and ability to execute on this vision. Times have truly changed, and so have the demands of organizations. Enterprises grapple with more data and content than ever before on a daily basis. The immediacy of this impact made me realize -- this isn’t another Y2K fizzle, where the long-awaited computer bug caused barely a hiccup. The GDPR crackdown is real, and the grace period for non-compliance has passed. Managing content and digital assets is a primary concern for organisations going through a digital transformation. Nuxeo has been recognized in the Constellation ShortList for Digital Asset Management (DAM) for Digital Experience (DX) in Q3 2018. Cloud-native content services provider, Nuxeo, has announced that the technology solutions and services provider, iSoftStone, is the newest member of its partner program. We all face the problem of having to manage and work with huge volumes of content and data. That’s as true of the brand trying to use data to make its marketing work as scientific as possible, as the public sector organisation trying to manage increasing citizen information. An Indigenous-led organization is preserving British Columbia's native languages with the help of a newer type of content management platform that's designed to handle multiple content formats. The Council designed and launched FirstVoices, a groundbreaking online cultural initiative that archives and preserves Indigenous languages throughout the province, to support language archiving, language teaching and culture revitalization. It may have passed you by, but there was a big funeral in the IT world last year. The public burial of enterprise content management, or ECM. The enterprise content management-is-dead mantra just keeps coming back. Its been around for a long time but took a new lease of life in 2017 with Gartner’s decision to change the way it segments the ECM industry. Nuxeo, a cloud-native Content Services Platform, announced iSoftStone, named a global technology solutions and services provider as the newest member of its partner program. 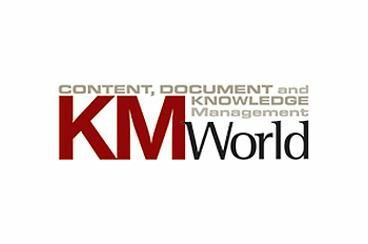 Content, knowledge, and document management analyst outlet, KMWorld, recently released its Trend-Setting Products of 2018, a listing that highlights innovative tools in the content management space. 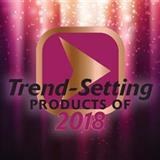 Nuxeo, the leading cloud-native Content Services Platform, today announced its selection by KMWorld Magazine as a 2018 Trend-Setting Product. Use content services platform to future-proof information systems. Many businesses have embarked on “digital transformation” journeys with the goal of better understanding and anticipating market drivers and optimizing the end-to-end customer experience. 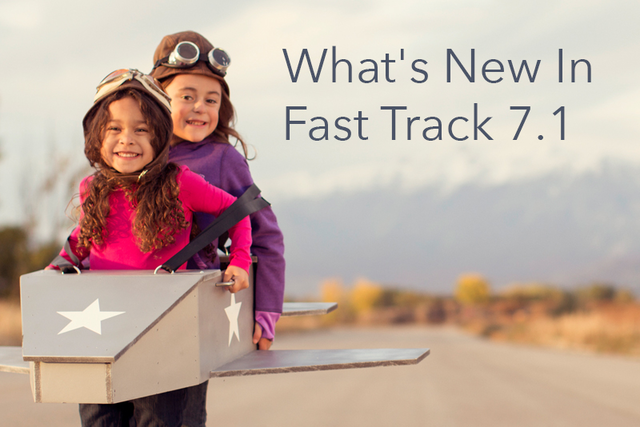 Nuxeo have announced the release of Fast Track 10.2, which includes several new features and updates to the core Nuxeo Platform. Researched and developed by Constellation Research, the Constellation ShortList includes technology vendors that offer the key requirements for early adopters pursuing digital transformation initiatives. Is ECM Really Past Its Sell By Date? Last year Gartner slapped an ‘obsolete’ sticker on ECM and introduced the term ‘content services’. One year on, Nuxeo’s Director of Product Marketing, David Jones, looks at how this decision has panned out. Managing the content demands of a modern organisation requires putting the policies and technologies in place to make sure your information is accurate, useful and secure. What some may not have fully grasped, however, is how the GDPR also requires organizations to deliver this protected information to any EU citizen who submits a Subject Access Request (SAR). Enterprise digital asset management allows organizations that deal with media-rich content to create, manage, archive, repurpose and manipulate digital media assets such as images, videos and documents. Automating and simplifying the manner in which employees can engage with content is always top of mind for companies in our data-first world, and in this regard, artificial intelligence (AI) is playing an increasing role. Many are nor arguing that enterprise content management (ECM) is dead. Since Gartner research director Karen Hobert argued in a webinar that the next step in content management evolution after ECM is content services, there has been considerable speculation about the future of proprietary content management systems and what their future may be. Nuxeo, the leading cloud-native Content Services Platform, today announced that it was included in Gartner’s 2018 Market Guide for Digital Asset Management. Nuxeo was one of 20 offerings included in the report. Content management is going through a significant change driven by factors like cloud computing, machine learning and the push towards content services. The General Data Protection Regulation (GDPR) went into effect on May 25, harmonizing data protection laws across the European Union (EU) via a new set of rules intended to ensure that the personal data of citizens is protected and available upon their request. 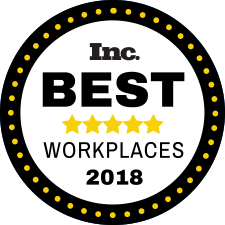 Williamsburg-based Nuxeo, a leading content-services platform, has been named as one of Inc.’s Best Workplaces for 2018. 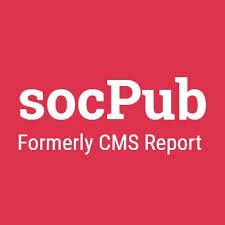 Why did ECM fail, and why is content services viewed as its prevailing successor? Let’s examine each question to find some answers. Are Subject Access Requests factored into your GDPR initiatives? Some organisations see the General Data Protection Regulation (GDPR) as simply another data compliance challenge and have not considered the impact that Subject Access Requests (SARs) will have on their business. Too many GDPR plans are based on the false assumption that GDPR is purely a data challenge. The need to manage Subject Access Requests (SAR) may suggest otherwise. Does enterprise content management have a future? Since the turn of the century, Enterprise Content Management (ECM) has ruled the information management ecosystem. But in January 2017, ECM found itself declared dead by Gartner — replaced by a whole new category of software tools, Content Services. Our 2018 list of 100 Companies That Matter in Knowledge Management is compiled over the course of the year via input from editors, analysts, experts and, most importantly, users. 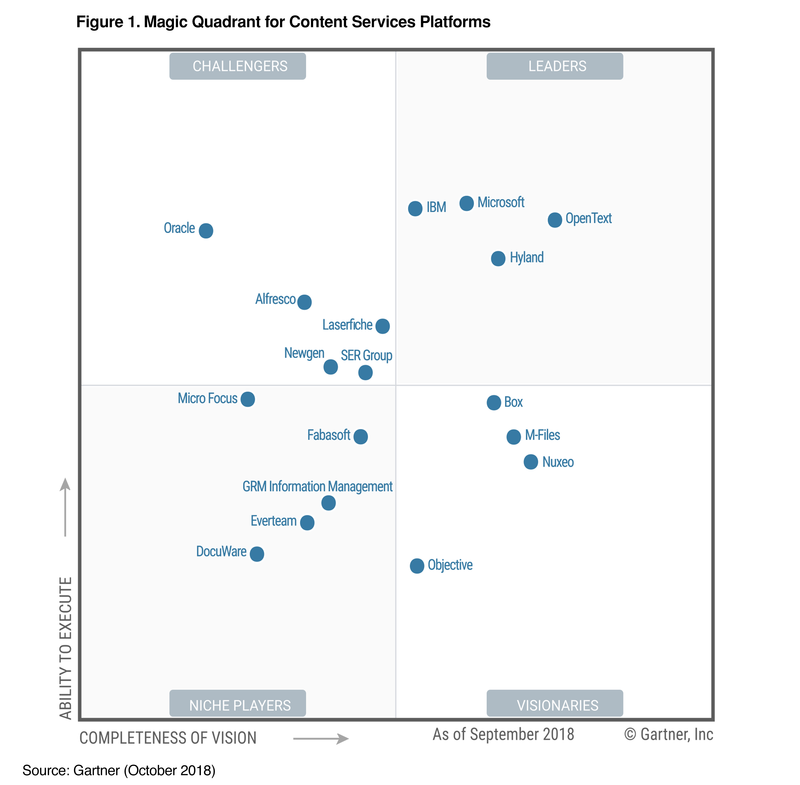 Out with ECM, in with content services, was Gartner right? Move content faster through the digital supply chain and you'll grow. Route it more efficiently and you'll save. Find ways to recombine it into new offerings and you'll thrive. 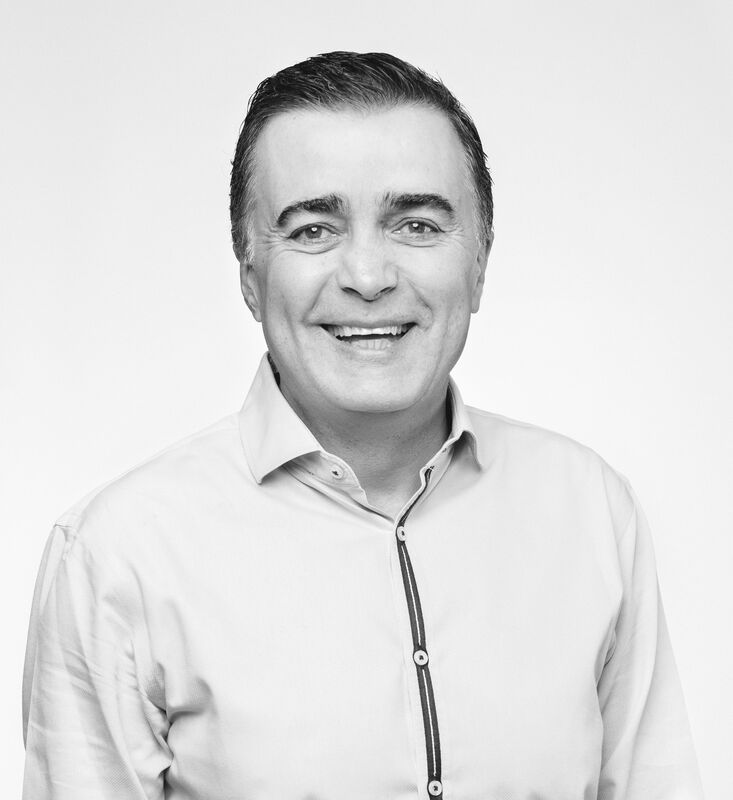 7 questions to Nuxeo CMO. Brand ecosystems are driven by compelling, relevant content, which – increasingly – includes rich media assets like video. The volume of content that today’s businesses produce, use, distribute, and analyze is growing at an exponential rate. In order to keep pace with this globalization and the need for regulatory compliance, many companies turn to Enterprise Content Management (ECM) systems to help them manage all types of business information–from physical documents and digital assets to web pages, rich media, and even social content. Nuxeo appointed Fred Monjazeb as a new CRO. 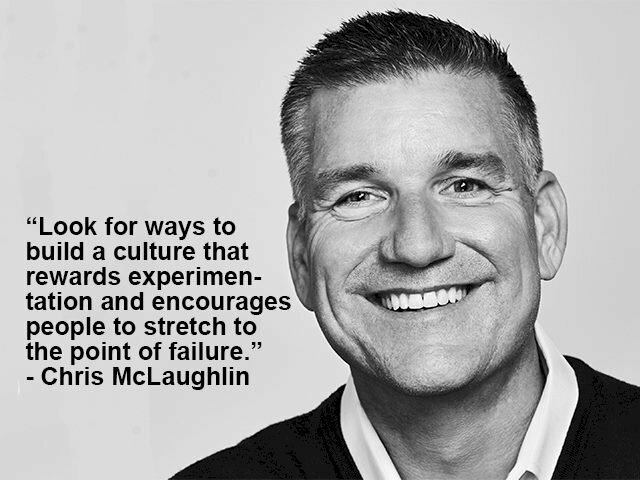 He marks the second new executive to join the team following a departure from EMC’s Enterprise Content Division, Chris McLaughlin Nuxeo’s current CMO being the first. Nuxeo, maker of the leading, cloud-native content services platform, today announced it ranked 467 on Deloitte’s Technology Fast 500™, a ranking of the 500 fastest growing technology, media, telecommunications, life sciences and energy tech companies in North America. 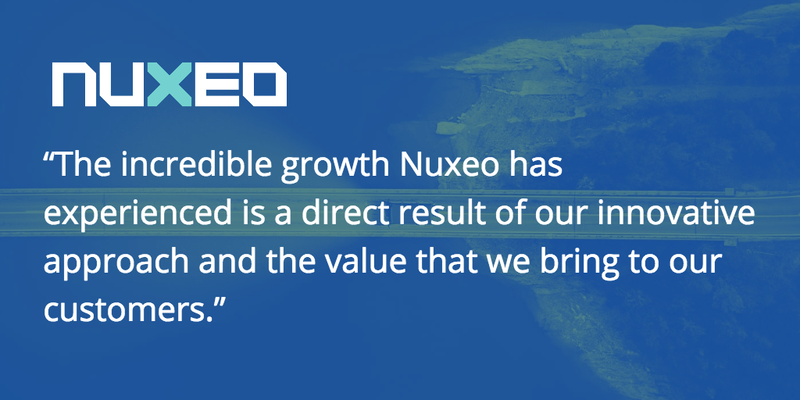 Nuxeo grew 154 percent during this period. Nuxeo, maker of the leading, cloud-native content services platform, today highlighted record-breaking business results. 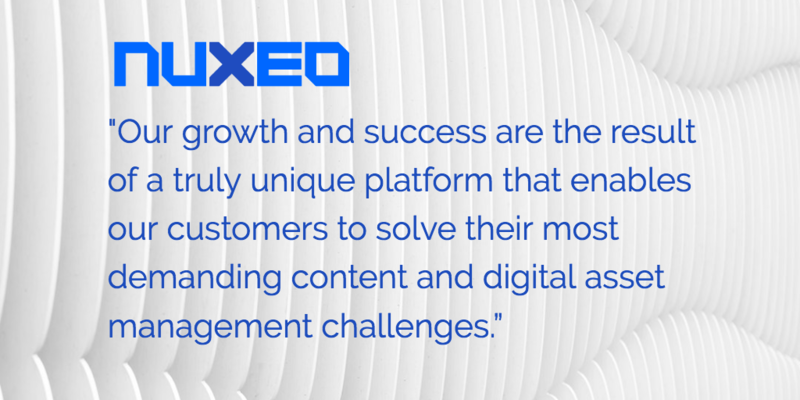 Nuxeo has established itself as the modern, scalable content services platform of choice for leading enterprises. New Bookings Lead to 287 Percent Growth; Customers Achieve Unprecedented Time to Value. The report highlights the issue that legacy approaches to content are no longer meeting the requirements of the digital transformation taking place within enterprises, and recognizes Nuxeo as one of the vendors leading the charge towards a modern approach. Nuxeo, maker of the leading, cloud-native content services platform, today announced that it was named a visionary in Gartner’s Magic Quadrant for Content Services Platforms (CSP) report. New York City-based Nuxeo has also been busy. It recently announced what it is describing as a strategic partnership with Texas-based Simflofy, which provides content integration services designed to enable users connect their content wherever it is located. The purpose of this collaboration is to help Nuxeo’s customers mitigate the cost, pain, and risk of content migrations typically associated with ECM implementations. Nuxeo, maker of the cloud-native content services platform, announced a strategic partnership with Simflofy, provider of Content Integration Services. Nuxeo, maker of the leading, cloud-native content services platform, today announced a strategic partnership with Simflofy, provider of Content Integration Services. 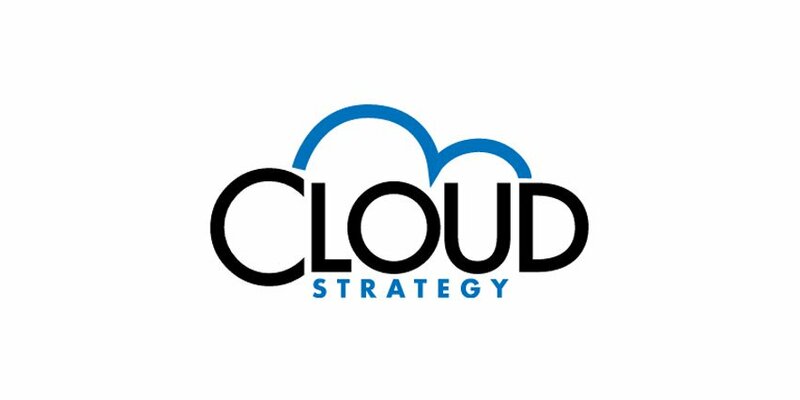 Nuxeo, cloud-native content services platform, today announced a strategic partnership with Simflofy, provider of Content Integration Services. The current DAM technology is mature and effective, but interesting advances are also being made that incorporate geolocation, artificial intelligence (AI) and other capabilities. Nuxeo Marketing DAM Accelerator—designed for marketers and business users to manage digital assets; an out of the box application that’s easy to use to foster immediate adoption and rapid time to value. 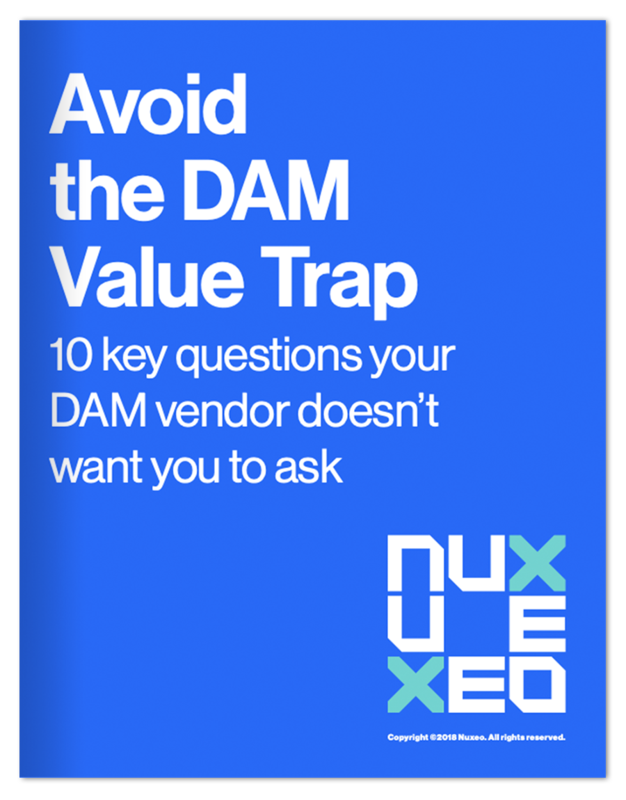 Learn These Six Key Principles for the DAM of the Future. DAM technology hasn’t kept up with changing needs, leaving users with limited options. On one hand are the legacy systems stuck in the past. And on the other are smaller departmental DAMs that can work for small departments but don’t scale to large and diverse organizations. Download this informative paper to learn more. Nuxeo today announced the release of Web UI, a brand new web client for the Nuxeo Platform. With more channels comes more content. That means more digital assets for enterprises — and probably more headaches managing them. The flood of diverse content today−coming from both traditional and emerging sources−should be a benefit to those involved in developing and delivering marketing campaigns. 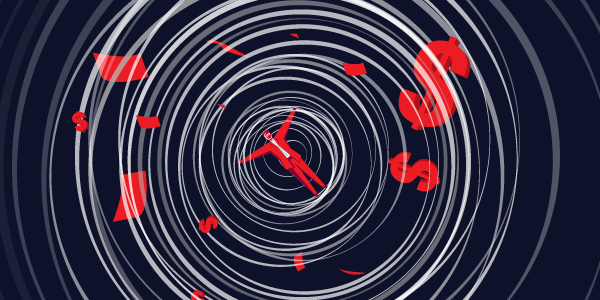 While it’s true that the possibilities may seem endless, the fact is this deluge threatens to overwhelm many marketers. Uri Kogan examines the challenges faced by today's marketers in managing the huge volumes of digital assets, while proving ROI on content investments, and how marketers are increasingly leveraging DAM platforms to manage diverse content at internet scale across multiple channels, all while better understanding the success of campaigns. Nuxeo, maker of the leading, cloud-native content services platform, today announced an upcoming webinar with CMSWire, a leading online magazine covering customer experience and enterprise information management, digital marketing and social business. 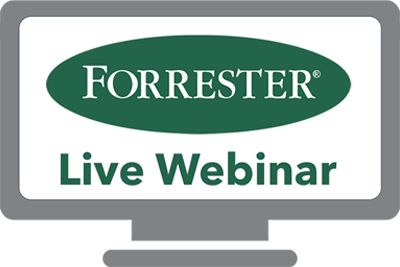 Slated for June 27, the free webinar, titled "Customer Experience is a Team Sport," will illustrate how to deliver connected customer experiences with enterprise Digital Asset Management (DAM) and overcome risks associated with poor asset control. 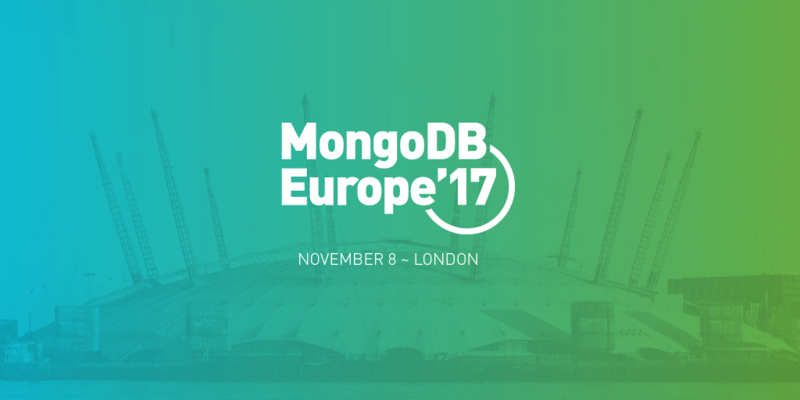 Visit Nuxeo at MongoDB World in Chicago to Learn How the Hyperscale Digital Asset Platform Empowers Developers. Digital asset management, or DAM, is the often-overlooked, not-so-glamorous, lynch-pin of content marketing. A business which fails to manage its content assets effectively — from blogs, white papers, and eBooks to images, video, and email content — ends up reinventing a very expensive wheel, week in and week out, and probably across multiple locations. Based in New York, global software company Nuxeo has a singular focus: to be the go-to for companies looking to solve their content, asset and information management challenges. The digital content explosion is driving opportunities like never before. It’s also creating new challenges as organizations strive to manage the increasing complexity, volume and diversity of digital content and its delivery channels. To unlock the full value of all enterprise digital assets, companies need a new approach to traditional Enterprise Content Management (ECM). Nuxeo, the leading Enterprise Content Management (ECM) platform developer has announced the release of its latest hyper-scale digital asset platform. 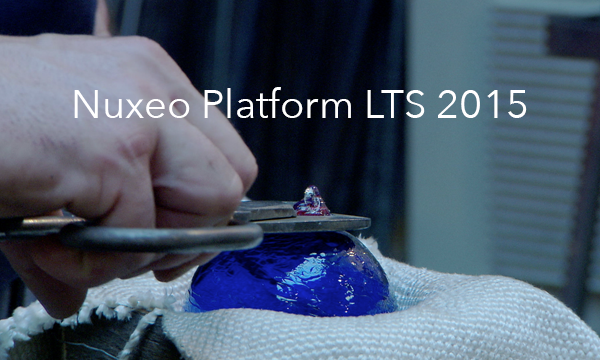 Nuxeo Platform LTS 2016 is designed to help customers scale their digital assets and maximize ROI of content-centric business applications. If you had the luxury of architecting a massively scalable, cloud-native digital asset management platform from scratch, it would end up looking like the one from Nuxeo. After a year of fast track releases, New York City-based Nuxeo has unveiled the 2016 Long Term Support (LTS) release of its hyperscale digital asset management (DAM) platform. 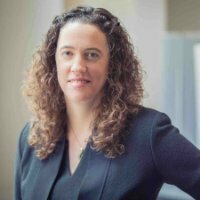 Enterprises remain stifled by legacy enterprise content management (ECM) systems as well as homegrown asset management solutions that do not scale, according to Melinda Cormier, Nuxeo’s senior director of digital marketing and brand strategy. What's the Catalyst for True Digital Transformation? A recent survey by the Economist Intelligence Unit (EIU) suggests CIOs should be driving digital transformation strategies across organizations. But are they? 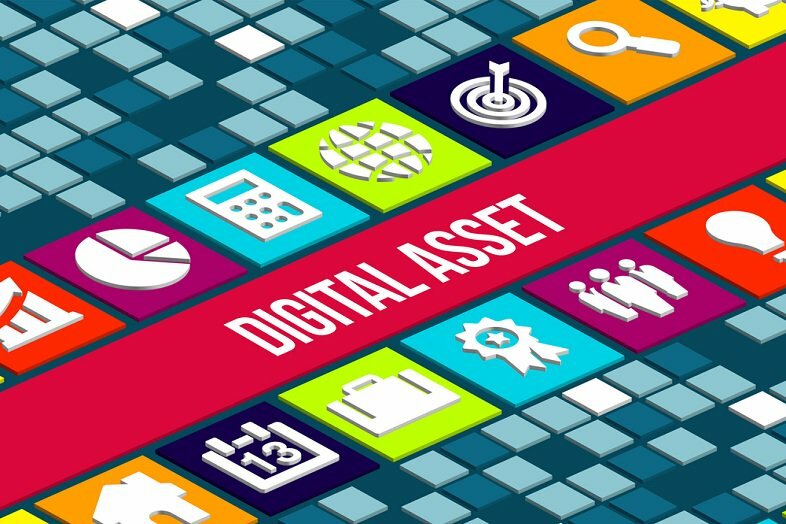 The path to successful digital transformation is through an enterprise digital asset management system (DAM), according to Brian O'Connor, chief technology officer at Universal Mind. 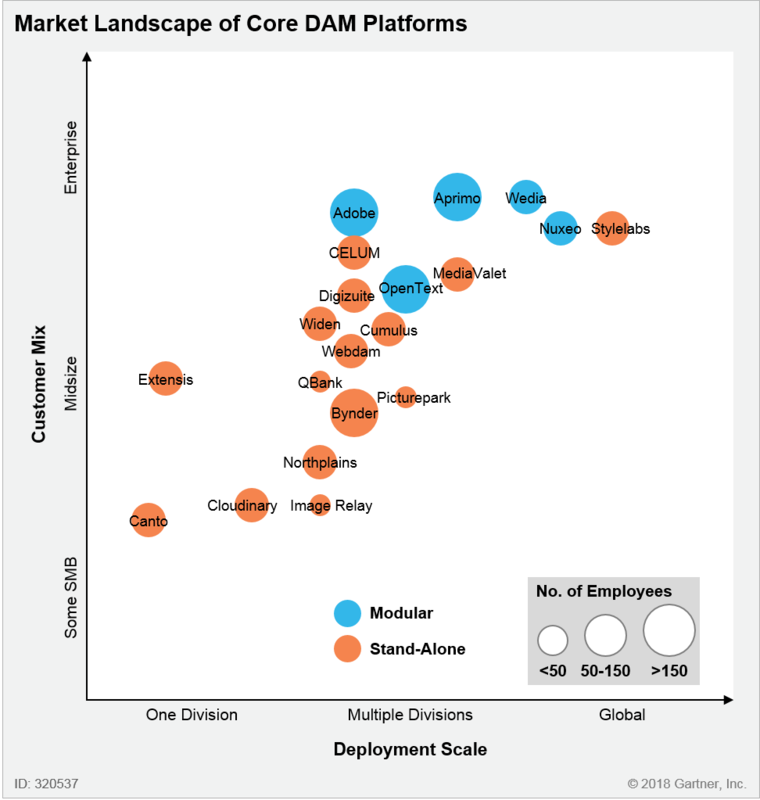 Use the cloud to realize DAM technology at its fullest. Digital asset management (DAM) powers the processes that run business, argues Eric Barroca, CEO of Nuxeo - but without a cloud-native approach, the benefits may be limited. Today’s increasingly dispersed, mobile and digital savvy workforce is demanding more from their IT enterprise. Gone are the days where enterprise application development and management had the old 'centralized command and control' mindset. Now, driven by employee needs for more intuitive and flexible tools, digital workplace strategies are seeking to provide agile, secure tools for creating, accessing and sharing content – anywhere, anytime – regardless of departmental, geographical and corporate boundaries. For many, this is the way to achieve digital transformation. At every sector of enterprise software, cloud services are starting to open up doorways to connect with Artificial Intelligence. 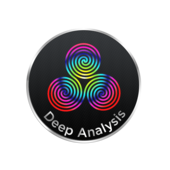 This interview is a granular look at the role metadata and data structures plays in that interface. Nuxeo, a firm specializing in enterprise digital content management platform, has announced the launch of a new mobile application for Android. The application of the same name as of the company will help users to manage a variety of digital files, including images, media, and PDFs. The app is already available on iOS. Nuxeo, developer of a hyperscale digital asset platform which enables organizations to manage complex content at scale, has released a new mobile app for Android devices. Digital transformation — the strategic alignment of enterprise technology with workers and business processes — is a top priority for a growing number of global firms. In terms of channel support and business opportunity, digital transformation opens up new markets for enterprise content management (ECM) solutions. Organizations grappling with legacy systems find they cannot effectively support rapidly evolving enterprise requirements for managing complex and growing content. It’s an opportunity for solution providers to offer their customers ways to solve this challenge. Content Without Access is Worthless! Le fonds d’investissement américain injecte 20 millions de dollars Nuxeo qui réalise déjà 60% de son CA outre-Atlantique. La société compte développer ses forces de ventes pour accélérer à l’international. Nuxeo, one of the few open source ECM platforms in the market has had slow, but steady growth over the last several years, including traction in the US after building out a stronger executive, technical, and sales presence. Open source enterprise content management (ECM) developer Nuxeo announced this week that it closed a $20 million funding round led by Goldman Sachs Private Capital Investing. This adds to the $10 million investment by Kennet Partners announced in June, bringing the total this year to $30 million. 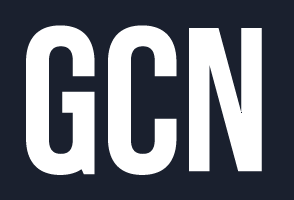 Goldman Sachs has made a $20 million investment in Nuxeo, a developer of an enterprise content management (ECM) platform which to help organizations manage complex digital content at massive scale. This adds to the $10 million commitment by Kennet Partners announced in June, for a total of $30 million. 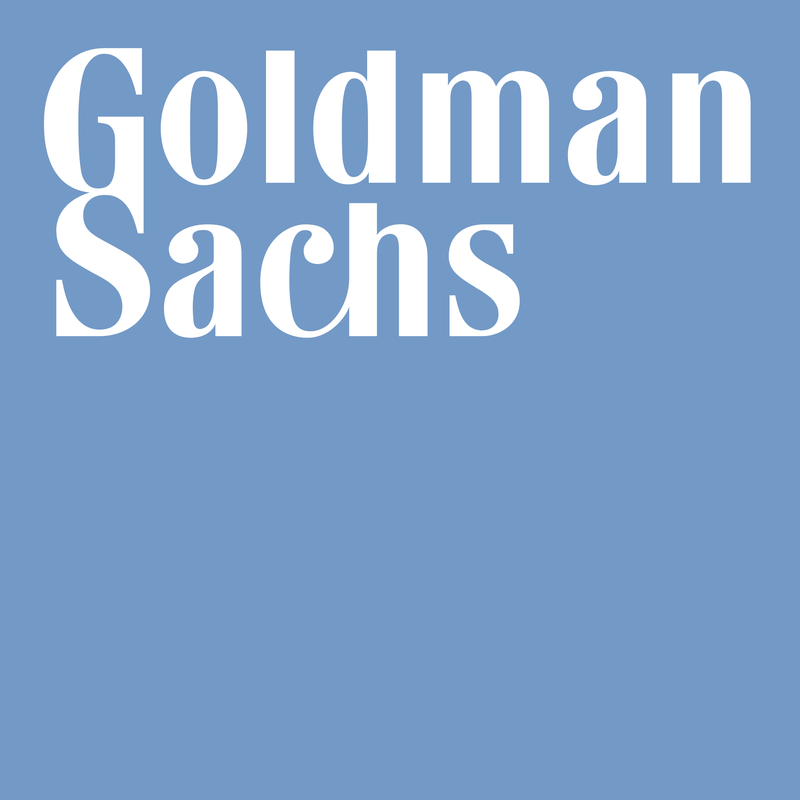 Goldman Sachs has made a $20 million investment in the company. This adds to the $10 million commitment by Kennet Partners announced in June, for a total of $30 million. 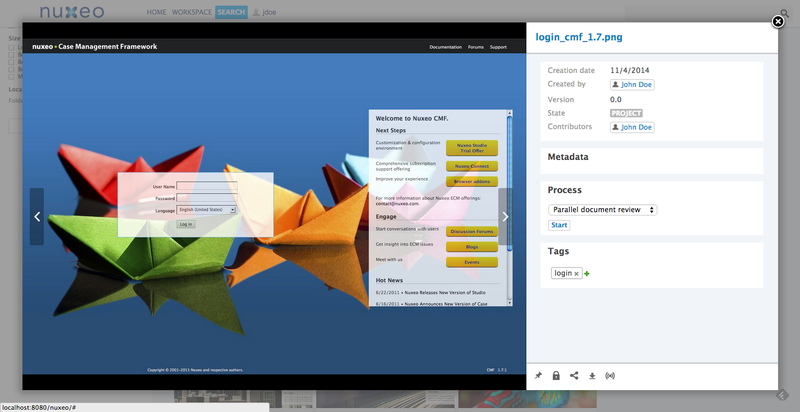 Acquisition adds new 3D preview and modeling tools to Nuxeo Platform for rich content management. Newly refactored Nuxeo App allows users to preview, search and browse enterprise content and digital assets. With roots as a consulting company, Nuxeo pivoted to a rich content management platform focused on document management, digital asset management, or case management. Today, we chat with CEO Eric Barroca to get the inside scoop on the company’s funding and its future funding. Nuxeo, which provides a platform for managing digital content at scale, and MarkLogic, a provider of an enterprise NoSQL database platform, have announced that the Nuxeo Platform now supports the MarkLogic database as a storage back end. Nuxeo, a provider of an enterprise content platform that enables organizations to manage complex digital content at scale, recently closed a financing round with $10 million committed by Kennet Partners. Nuxeo disclosed a new round of financing and plans to boost the rollout of its content and digital asset management platform through the channel. Kennet Partners has committed $10 million in funding. 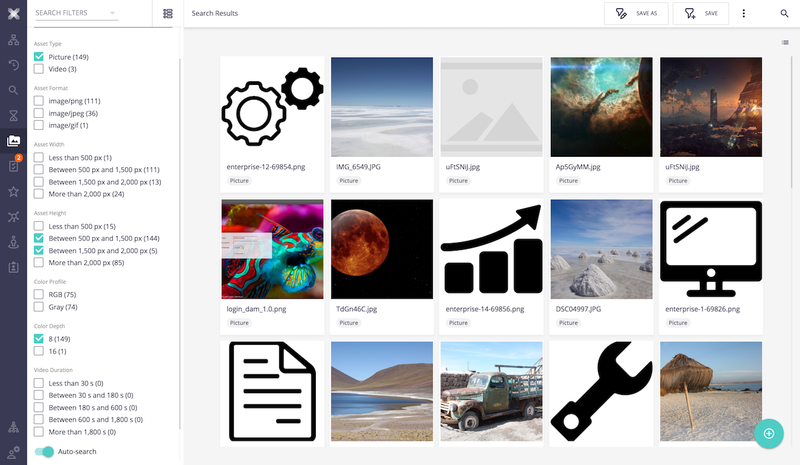 Nuxeo, the open source content management provider known also for its digital asset management platform, announced today that it closed a $10 million funding round led by Kennet Partners. 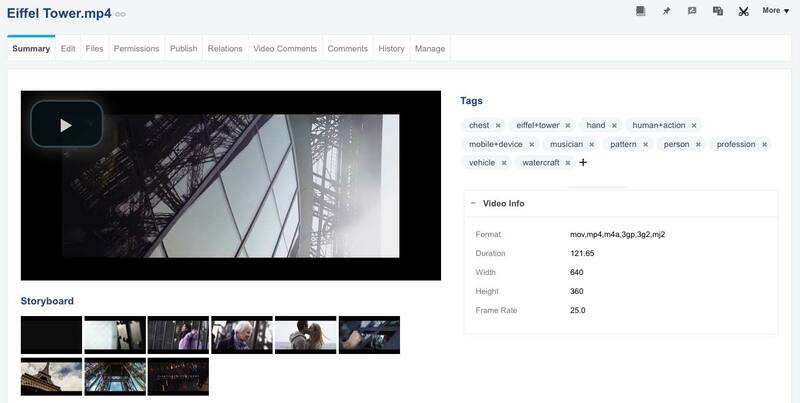 Nuxeo, a NYC- and Paris, France-based Enterprise Content Management (ECM) platform which enables organizations to manage complex digital content at massive scale, closed a $10m financing round. 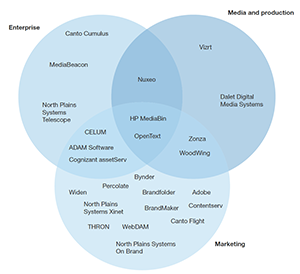 Nuxeo is one of only three vendors listed in both the Enterprise and Media & Production segments in a recent digital asset management vendor report by an independent research firm. 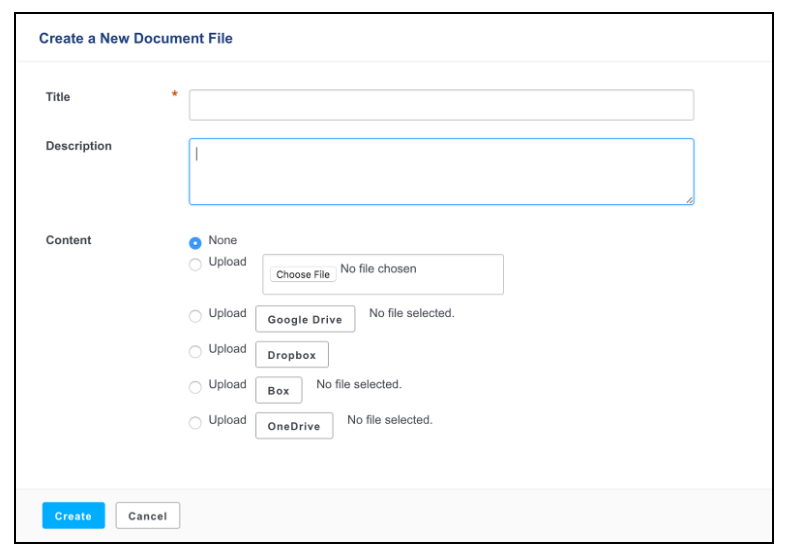 The Nuxeo Salesforce Connector provides a new way to attach your documents to any Salesforce object and allows users to easily search, list, and preview all of these related assets from within the Salesforce UI. April 19 webinar will feature guest speaker Anjali Yakkundi. Long Term Support (LTS) 2015 version of Nuxeo Platform provides unequaled enterprise performance and scalability, NoSQL-powered content repository and a set of advanced integrations with major cloud business applications. Nuxeo announced new benchmark results with MongoDB, the database for Giant Ideas, as a content store. The benchmarks reveal up to 5x faster bulk import of content and a 15x performance improvement in document processing over the fastest-performing SQL database implementation. Nuxeo announced new benchmark results with MongoDB, the database for Giant Ideas, as a content store.The benchmarks reveal up to 5x faster bulk import of content and a 15x performance improvement in document processing over the fastest-performing SQL database implementation. Check out the details of the latest Nuxeo Platform release! September 15 session will focus on how to build your business with your digital assets instead of just archiving them. 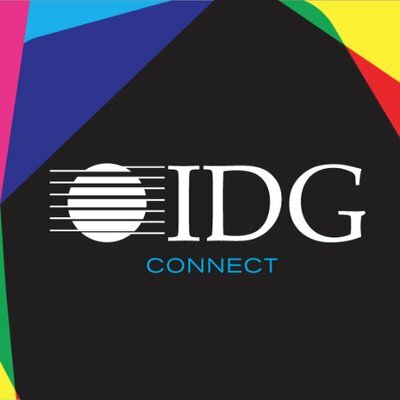 August 11 session will focus on how Enterprise Content Management (ECM) technologies must evolve to keep up with the explosive growth of Internet of Things. June 24 session with Craig Le Clair to focus on changes in application architecture and software development strategy. 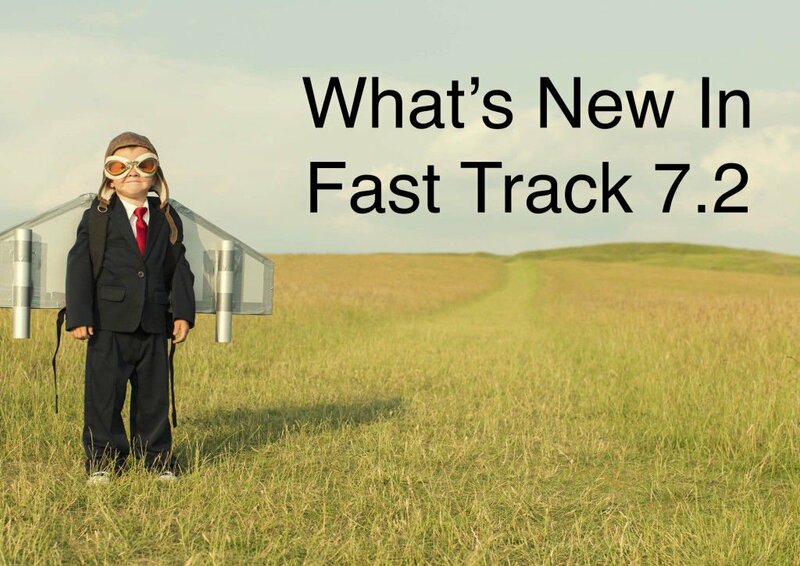 New York, March 26, 2015 – Nuxeo, provider of the Nuxeo Platform announced availability of the Nuxeo Platform Fast Track 7.2. April 7th session with the US Navy and Aderas to focus on growing initiatives in document management and process improvement. 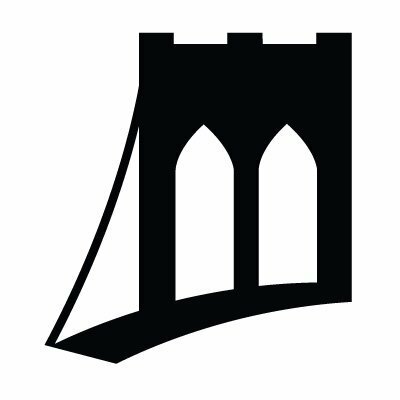 New York, NY - February 11, 2015 – February 24 session with Jeff Potts to focus on what types of problems CMIS can help solve, and how to extend CMIS without losing interoperability. New York, NY - February 11, 2015 – Increase in content-centric business application demand drives new customers acquisition and new record revenue for the content management platform provider. 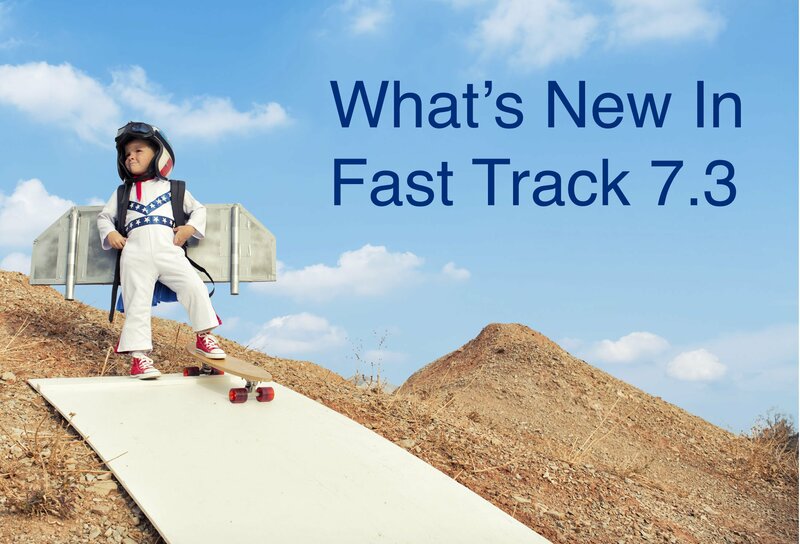 New York, NY - January 20, 2015 – Nuxeo offers new improvements to the Nuxeo Platform with version FT 7.1 and begins to lay the groundwork for continued innovation in 2015. New York, NY - January 14, 2015 – Codenvy integration with the Nuxeo Platform allows Nuxeo Platform developers to manage their entire development cycle in the cloud without installing anything. It enables applications to be developed faster and more reliably. 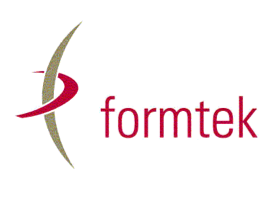 New York, NY - December 4, 2014 – Formtek, Inc. and Nuxeo Corp. today announced a strategic partnership that establishes Formtek as a strategic US partner and global reseller of the Nuxeo platform. 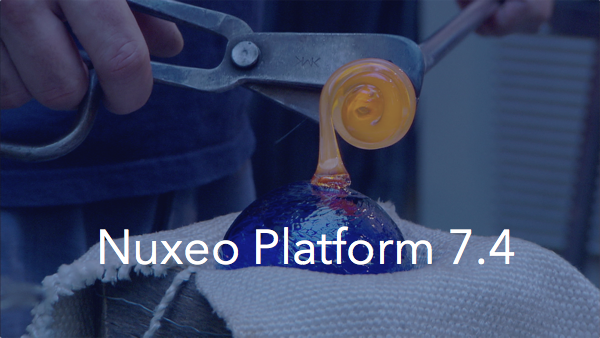 New York, NY - November 12, 2014 – Nuxeo, the provider of the Nuxeo Platform, a highly customizable and extensible content management platform for building business applications, today announced general availability of the Nuxeo Platform 6.0. New York, NY - August 6, 2014 – With its latest fast track release available for download, Nuxeo, provider of the Nuxeo Platform, a highly customizable and extensible content management platform for building business applications, today announced open access to the nuxeo.io trial, native integration with MongoDB, and Nuxeo Studio user experience improvements. New York, NY / Paris, France - June 17, 2014 – Nuxeo, the provider of a content management platform for business applications, makes the list of the 2014 hottest companies in New York City, by Lead411. New York, NY / Paris, France - June 11, 2014 – Nuxeo, the provider of a content management platform for business applications, announced the latest Fast Track release of the Nuxeo Platform - 5.9.4. How Content-Centric Business Applications are Redefining Content, Big Data and Enterprise Content Management. New York, NY / Paris, France - June 3, 2014 – Nuxeo, the provider of a content management platform for business applications, announced the beta release of nuxeo.io, a hosting service for managing and running Nuxeo Platform clusters in the cloud. New York, NY / Paris, France - April 16, 2014 – Nuxeo, the provider of a content management platform for business applications, announces the availability of Nuxeo Platform 5.9.3, the latest Fast Track release featuring a new query engine based on the distributed search engine Elasticsearch, a new collections type that enables virtual folders, and Nuxeo Drive for iOS. 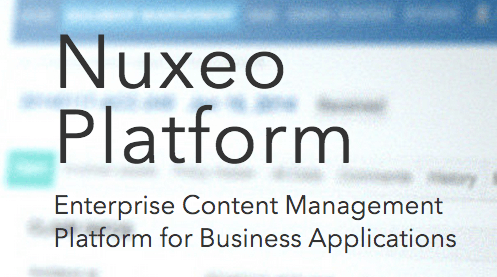 New York, Paris - February 19, 2014 – Nuxeo, the provider of a content management platform for business applications, announces the availability of Nuxeo Platform 5.9.2, a new Fast Track version. Avalon Corporate Solutions, a management consulting firm, and Nuxeo, the provider of a content management platform for business applications, today announced a partnership. Avalon Corporate Solutions, based in Montreal, will offer local systems integration and consulting services to Nuxeo’s growing customer base there. New York, Paris - December 20, 2013 – Nuxeo, the provider of a content management platform for business applications, announces the availability of Nuxeo Platform 5.9.1, a new Fast Track version closely following the release of version 5.8. Primarily a technical release with many bug fixes and improvements to the new Long Term Support version, Nuxeo Platform 5.9.1 also offers two key features. New York, Paris - November 5, 2013 – Nuxeo, the provider of a content management platform for business applications, today announced the availability of Nuxeo Platform 5.8, a major Long Term Support version of the open source content management platform. New York, Paris - September 25, 2013 – Nuxeo, the provider of a content management platform for business applications, announces the availability of Nuxeo Platform 5.7.3, a new Fast Track version under the release program launched earlier in the year. New York, Paris – September 12, 2013 – Nuxeo, the provider of a content management platform for business applications, today announced an influx of venture capital of $3.8 million from OTC Asset Management and OTC Extend, to support expansion in the U.S. market. New York, Paris - July 25, 2013 – Nuxeo, the provider of a content management platform for business applications, announced today open registration for the 2013 edition of its popular conference for users, partners, contributors, and community. Nuxeo World will take place in Paris, France, October 9-10, 2013. New York, Paris - June 25, 2013 – Nuxeo, the provider of a content management platform for business applications, announces the availability of Nuxeo Platform 5.7.1, a new version of the open source content management platform on the Fast Track, Nuxeo’s newly launched release cycle program. 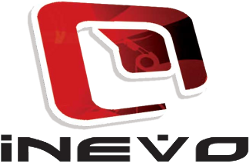 New York, Paris - April 30, 2013 – Nuxeo, the provider of a content management platform for business applications,announces the availability of Nuxeo Drive, a desktop synchronization client that automates the content updating process between local desktops and the content repository. Nuxeo Drive works with all applications built on the Nuxeo Platform, including Document Management, Digital Asset Management, Case Management, and custom content-centric applications. New York, Paris - April 3, 2013 – Nuxeo, the provider of a content management platform for business applications, announces the availability of Nuxeo Mobile, offering ready-to-use mobile apps for the Nuxeo Platform. New York, Paris – February 5, 2013 – Nuxeo, the provider of a content management platform for business applications, continues to deliver on its global growth strategy, with revenue increases led by a large enterprise customers in the U.S. and an exceptionally strong retention rate. New York, Paris - September 28, 2012 – Nuxeo, the provider of an open source content management platform for business applications, has experienced a sharp uptake in market response since the release of Nuxeo Platform 5.6 earlier this month. New York, Paris - September 5, 2012 - Nuxeo, the provider of an open source content management platform for business applications, today announced the availability of Nuxeo Platform 5.6, a major upgrade to the company’s software platform. The Nuxeo Platform offers an integrated environment for building and deploying content-centric business applications in the areas of Content Management, Document Management, Digital Asset Management, Case Management, and Social Collaboration. Boston, Paris - July 25, 2012 – Nuxeo, the provider of an open source content management platform for business applications, announced today open registration for the third edition of its popular conference for users, partners, and community. Nuxeo World will take place in Paris, France, October 25-26, 2012. Boston, Paris - April 24, 2012 – Nuxeo, the provider of an open source content management platform for business applications, today announced that it has seen significant growth in the ECM marketplace – particularly in North America. In 2011, Nuxeo doubled its revenue and customer base in North America, maintaining its momentum in the global content management marketplace. Boston, Paris - April 12, 2012 – Nuxeo, the provider of an open source content management platform for business applications, announced today it has been selected as a Finalist for Red Herring's Top 100 Europe award, a prestigious list honoring the year’s most promising private technology ventures from the European business region. Princeton, NJ, Boston, MA, Singapore – April 10, 2012 – Princeton Blue, a leading provider of business automation, management and optimization solutions, and Nuxeo, the provider of an open source content management platform for business applications, today announced a partnership. Princeton Blue Asia Pacific, headquartered in Singapore, will provide Nuxeo with its first direct partner in the dynamic Asia Pacific market. They will offer local system integration and consulting services to Nuxeo’s growing global customer base there. Los Angeles, New York, Paris – March 14, 2012 – Nuxeo, the provider of an open source content management platform for business applications, today announced a technology alliance with Liferay, Inc., provider of the world’s leading enterprise-class open source portal. New York, NY & Paris, France – Jan. 17, 2012 – Nuxeo, the provider of an open source content management platform for business applications, today announced the opening of its U.S. headquarters in New York City. The company initially expanded into the United States in 2009, and already has offices in Boston and Silicon Valley. Boston & Paris – December 13, 2011 – Nuxeo, the provider of an open source content management platform for business applications, today announced the availability of Nuxeo Platform 5.5, a significant upgrade to the company’s unified platform for building and running content-centric applications. Nuxeo Platform 5.5 offers a complete set of enterprise content management applications, including document, digital asset and case management, as well as social collaboration features, mobile readiness and an improved developer experience. It is ideal for deploying a large range of solutions in a single repository – from basic to customized, vertically specific, content-centric applications. 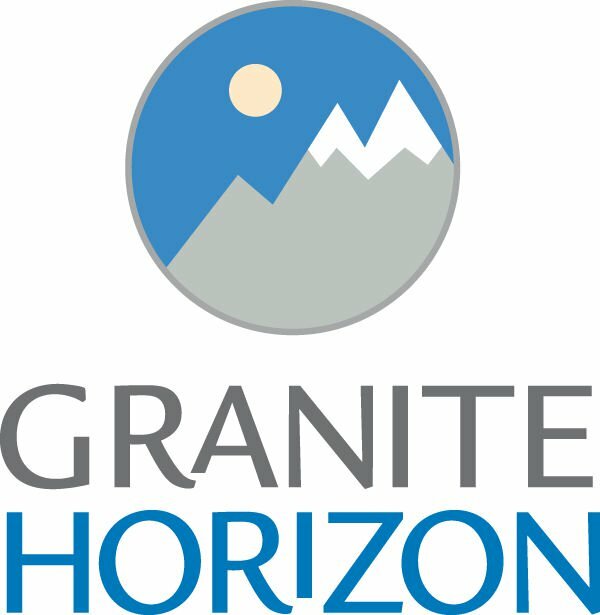 Elk Grove, CA & Boston, MA – Nov. 30, 2011 – Granite Horizon, a provider of Web-based content management solutions, and Nuxeo, the provider of an open source content management platform for business applications, today announced a partnership. The new alliance enables Granite Horizon to complement its existing web content management offering with Nuxeo’s extensive content management technology, for functionality ranging from document management to digital asset management to case management, and more. Boston, MA & New York, NY – November 29, 2011. 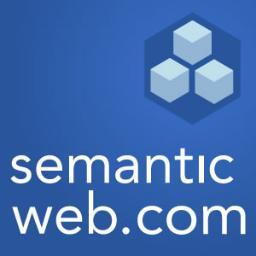 TEMIS, the leading provider of Semantic Content Enrichment Platforms for the Enterprise, and Nuxeo, the provider of an open source content management platform for business applications, today announced the integration of high-performance semantic content enrichment on the Nuxeo content management platform through TEMIS’ flagship Luxid® platform. Boston & Paris – October 18, 2011 – Nuxeo, the provider of an open source content management platform for business applications, today announced the availability of Nuxeo Cloud, a content management platform that provides a seamless development, customization, testing and production environment in the cloud. Boston, Paris – October 6, 2011 – Nuxeo, the provider of an Open Source Content Management Platform for Business Applications, today announced a technology partnership with Scality, the organic storage pioneer. A new integration will enable Scality to provide the storage and management of the binary files and unstructured data used by the Nuxeo Platform. Boston, Paris – October 4, 2011 – Nuxeo, the provider of an open source content management platform for business applications, today announced the availability of the Nuxeo Integrated Development Environment (IDE), a plugin that brings support into Eclipse for the Nuxeo Platform, facilitating customization for developers, whether they are new to the Nuxeo technology or experts. PARIS— September 29, 2011—Nuxeo, the provider of an open source content management platform for business applications, is hosting global customers and partners at Nuxeo World 2011 in Paris, France, on October 20-21 at Le Théâtre des Variétés. Nuxeo World is the worldwide conference for customers, partners and Nuxeo product experts to discuss success stories and technical knowledge around open source enterprise content management (ECM) and the Nuxeo Platform. Boston, Paris – September 7, 2011 - Nuxeo, the provider of an Open Source Content Management Platform for Business Applications, today announced a technology alliance with Ephesoft, provider of an an intelligent document capture system. Boston, Paris – August 10, 2011 - Nuxeo, the Open Source Enterprise Content Management (ECM) platform company, today announced the availability of new versions of Nuxeo Case Management Framework (CMF) and Nuxeo Studio. 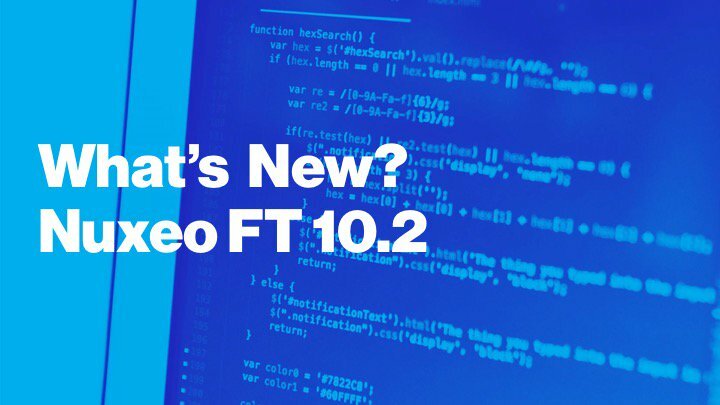 These two new releases combine to offer more customization possibilities for Nuxeo CMF with Nuxeo Studio, the configuration environment for Nuxeo ECM platform products. Boston, Paris – July 11, 2011 - Nuxeo, the Open Source Enterprise Content Management (ECM) platform company, today announces that Nuxeo Document Management is now available in the Ubuntu software partner catalog, ensuring ease of installation and deployment for developers building content management applications designed to run on the Ubuntu server environment. Boston, Paris – June 22, 2011 - Nuxeo, the Open Source Enterprise Content Management (ECM) platform company, today announced the availability of a new version of Nuxeo Studio, a hosted customization and configuration environment for Nuxeo platform-based applications. 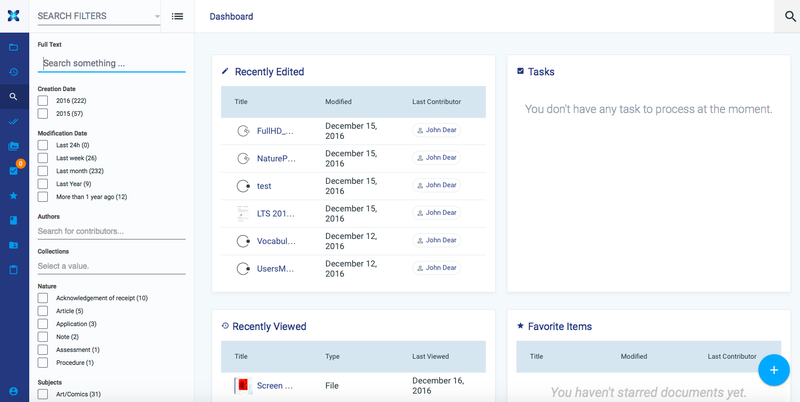 The newest version of Nuxeo Studio offers new features and templates to accelerate learning of the toolset, to speed implementation projects, and to further improve usability. Boston, Paris – June 16, 2011 - Nuxeo, the Open Source Enterprise Content Management (ECM) platform company, today announced the availability of a new version of its Case Management Framework. Nuxeo CMF is an enhanced distribution of Nuxeo Enterprise Platform (EP), adding functionality to support the flow and use of diverse but related content that needs to be handled and managed in a case or container metaphor. 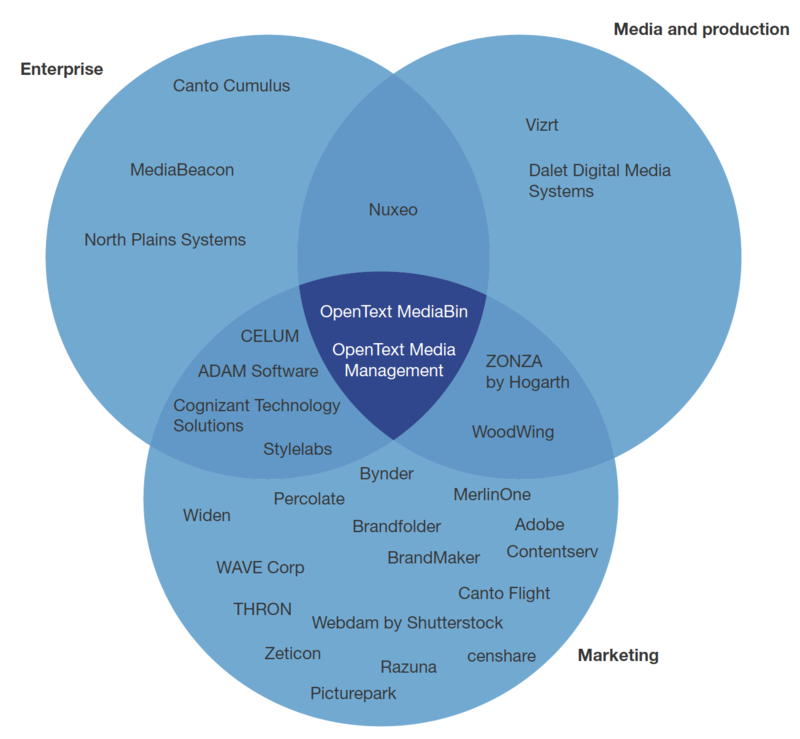 Boston, Paris – June 14, 2011 - Nuxeo, the Open Source Enterprise Content Management (ECM) platform company, today announced a technology alliance with Hippo, a leading vendor of commercial Java Open Source Web Content Management. 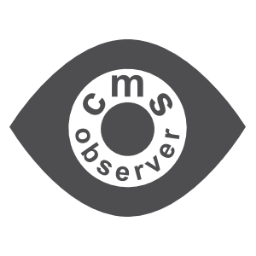 The two companies have built an ECM / WCM connector based on the OASIS CMIS (Content Management Interoperability Services) standard. A webinar with a demonstration of the connector will take place on July 20th. Boston, Paris – June 10, 2011 - Nuxeo, the Open Source Enterprise Content Management (ECM) platform company, now offers a Digital Signature add-on for its flagship Open Source Document Management software, Nuxeo DM. Based on the X.509 standard, the new component provides a secure electronic method for signing PDF files in Nuxeo DM and verifying the signatures with a digital certificate in a PDF reader. Boston, Paris – June 1, 2011 - Nuxeo, the Open Source Enterprise Content Management (ECM) platform company, released a new version of Nuxeo Document Management and Nuxeo Enterprise Platform today. Nuxeo DM 5.4.2 offers a host of usability and social features to make the user experience even smoother and more streamlined. 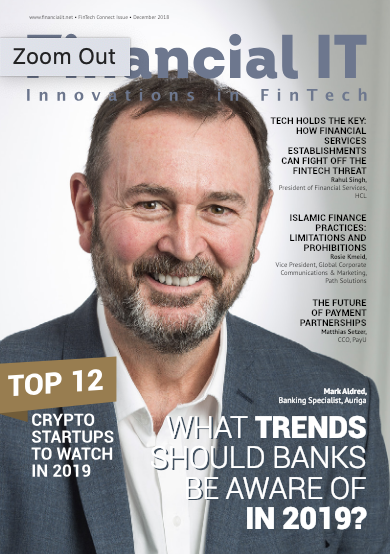 Key contributions highlight the value of community involvement in the strategy of continuous innovation for the Nuxeo platform. Boston, Paris – April 20, 2011 - Nuxeo, the Open Source Enterprise Content Management (ECM) platform company, announced today the availability of the a new package in the Nuxeo Marketplace that enables the Amazon Simple Storage Service (Amazon S3) online storage of files uploaded to a Nuxeo content repository. Boston, Paris – April 14, 2011 - Nuxeo, the Open Source Enterprise Content Management (ECM) platform company, announced today the availability of the Nuxeo GSA Connector, a new package in the Nuxeo Marketplace that enables Google Search Appliance (GSA) to index and search Nuxeo Document Management (DM) content. Boston, Paris – April 12, 2011 - Nuxeo, the Open Source Enterprise Content Management (ECM) platform company, announced today the second edition of Nuxeo World, a global conference dedicated to the open source ECM ecosystem. Boston, Paris – April 7, 2011 - Nuxeo, the Open Source Enterprise Content Management (ECM) platform company, announced today the availability of a new package in the Nuxeo Marketplace that connects Nuxeo Enterprise Platform (EP)-based applications and the open source Business Intelligence tool, Eclipse BIRT. Paris, Boston, March 29, 2011 - Roland Benedetti, 37, joins Nuxeo, the publisher of open source ECM solutions, as Vice President of Product & Marketing to increase visibility and adoption of products in addition to strengthening the relationship between Nuxeo and the developer community, keeping activities closely aligned with the product roadmap. Boston – March 1, 2011 - Nuxeo, the Open Source Enterprise Content Management platform company, has been recognized by KMWorld as one of the “100 Companies That Matter in Knowledge Management”. Compiled by Knowledge Management practitioners, analysts, vendors and customers, the 100 Companies That Matter list is in its 11th year. Boston, Paris – February 9, 2011 - Nuxeo, the Open Source Enterprise Content Management company, has proposed to contribute its proven Content Repository technology (Nuxeo Core) to the Eclipse Foundation. 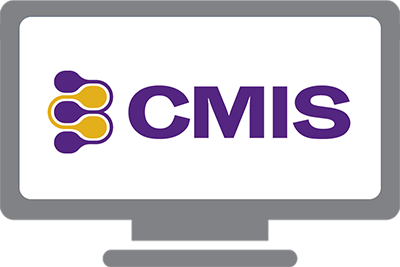 The “Eclipse Enterprise Content Repository” project, if approved, will build on the initial contribution to deliver a modular, versatile and full-featured Content Repository technology, leveraging CMIS as main access protocol and API. Boston, Paris – January 26, 2011 - Nuxeo, the Open Source Enterprise Content Management (ECM) platform company, announced today the availability of Nuxeo Studio 2.0, a new major version of its customization and design environment delivered as a service.